All her life Sue Nicholson has known there is more to our existence than the physical life we live. Born in Birmingham, England to a heavy drinking Father and anger-infused Mother, Sue’s life was one of loneliness and isolation. The poverty-stuck family yielded no love, and in her seeking for emotional connection she became aware of other presences in the house talking to her. She was always different and others sensed this. Her accurate insight into those around her left her friendless. As she matured, she learnt to hide her special connection to the Spirit World and endeavoured to lead a normal life as best as she could. However, her life was to change when she met and married Steve, a caring individual who was so different from the emotional damning environment she had only ever known. He was to lead her to a world away to Wellington, New Zealand. Faced with an unfamiliar culture and caring for a baby, Sue continued her pursuit of Spiritual connection in private. Later, spurred on by Spirit and turbulent experiences, she began to use her talents to help those around her. Eventually her abilities attracted wider acclaim, with Ninox Television seeking her help in re-examining unsolved murder cases in the highly successful series, Sensing Murder. No matter what hardship you endure, there is an underlining universal plan for us all. 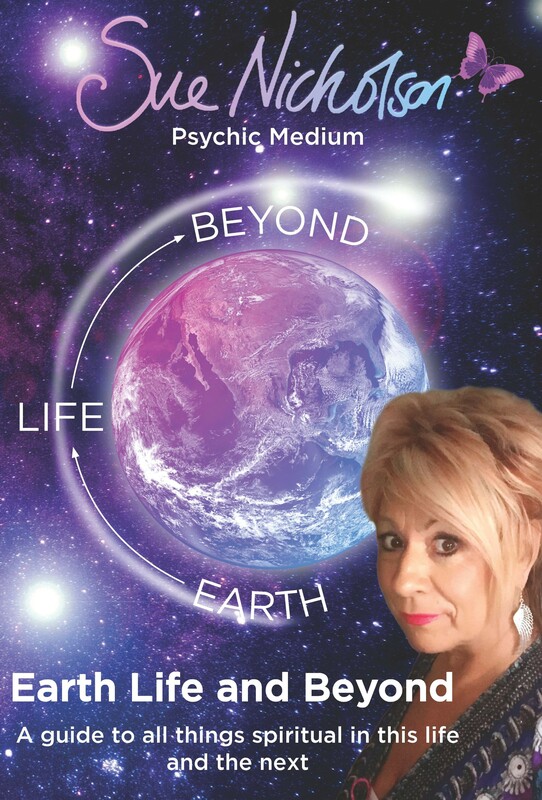 Sue Nicholson continues to help create a communication link between those who have passed over to the Spirit World and the living. Through this interaction Sue is able to help others to reach a sense of peace and understanding and why they are here.